The ideal solution for RFID supply chain compliance, tracking, security, and internal closed-loop applications. Supports EPC, ISO, I-Code, Tag-It, standards with future upgrade capability. 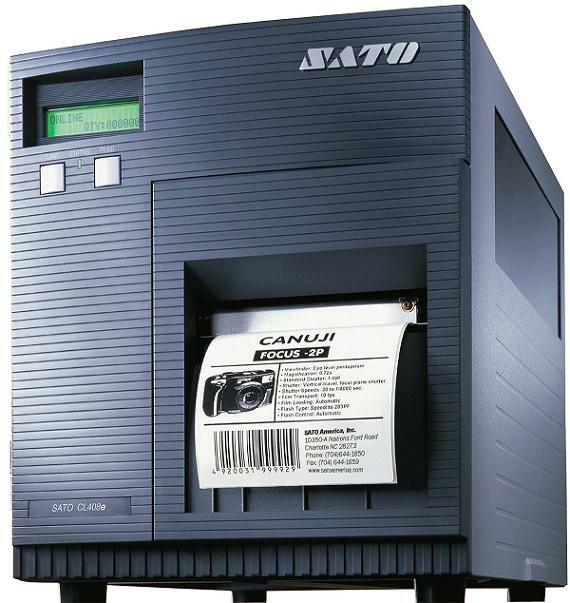 The heavy-duty metal construction, proven reliability, and excellent media handling deliver optimum performance in the most demanding environments.In a one-step process SATO's RFID printers can read, write and print smart labels and tags with embedded RFID transponders. CL408e RFID DT/TT 4.1" .87 - 5.1" 203 6 IPS 8.6" 3"
CL412e RFID DT/TT 4.1" .87 - 5.1" 300 6 IPS 8.6" 3"